Cedar Wright is a master of not taking life too seriously (an infectious attitude that spills into his work), as well as creating content of professional athletes dangling from rocks, high above the ground. But what makes his approach to photography and filmmaking so successful? And what's the secret to winning award after award for his climbing films? Growing up in the rural California foothills of the Sierra, just an hour outside of Yosemite National Park, it's difficult to not blame destiny for Wright's eventual discovery of rock climbing. However, this discovery didn't happen right away. 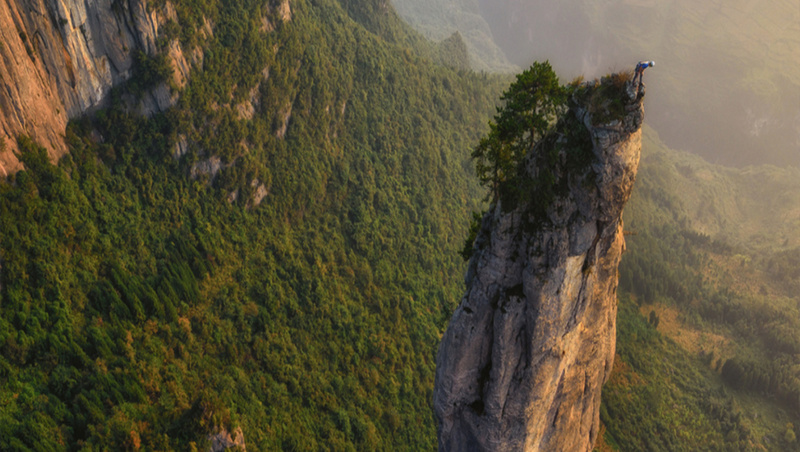 Although his parents exposed him to the natural world and hiking, he wasn't fully aware of rock climbing as a child. Wright found climbing while studying English and creative writing at Humboldt State University. Photography and cinematography, for Wright, follow a similar story. While in high school, he dusted off his dad's old DSLR and began teaching himself the craft. Although he took positions as the photo editor of the senior yearbook, as well as a photographer for his school's paper, photography did not immediately infatuate him. Rather than follow a conventional lifestyle, Wright followed a classic climbing lifestyle by moving into his truck after college graduation, and split his time climbing in Joshua Tree and Yosemite. It was during this time where he mastered the art of delicately dancing up granite walls, which led him to establish mind-numbing first-ascents around the world. This unconventional skill eventually landed him sponsorships, including a spot on the highly regarded North Face Team, and also exposed him to an inspiring community of creatives in the outdoor-adventure photo and film industry. 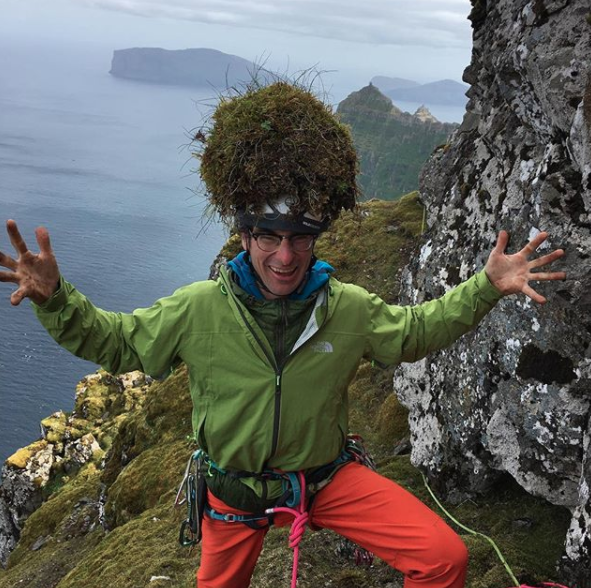 Wright taking his fashion seriously on a climbing trip in Europe. 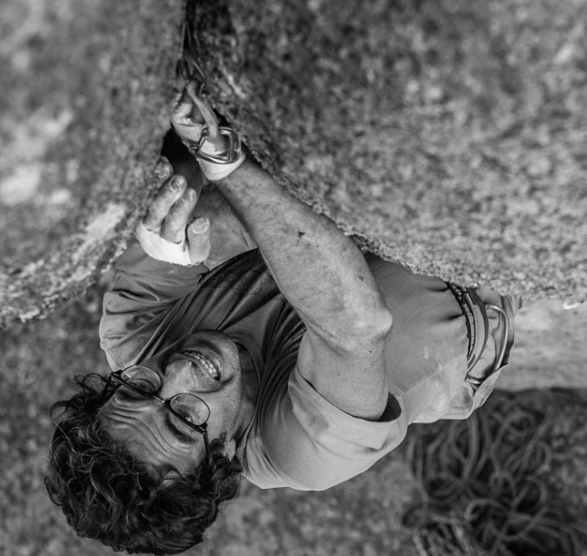 Wright on the first ascent of La Femme Takeda (5.12). 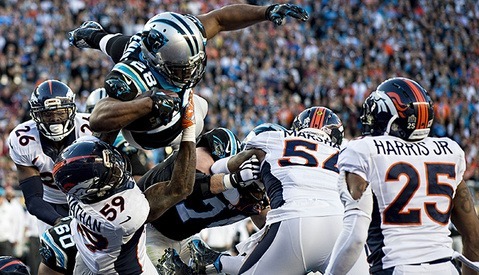 Photo by John Dickey. So doing it himself is what Wright did. He bought a small 1CC video camera (shot to tape), and began capturing and logging every adventure and outing. Wright never took a class in cinema or film. Instead, he immersed himself in the vast video world. It turns out dedication and hard work go a long way. 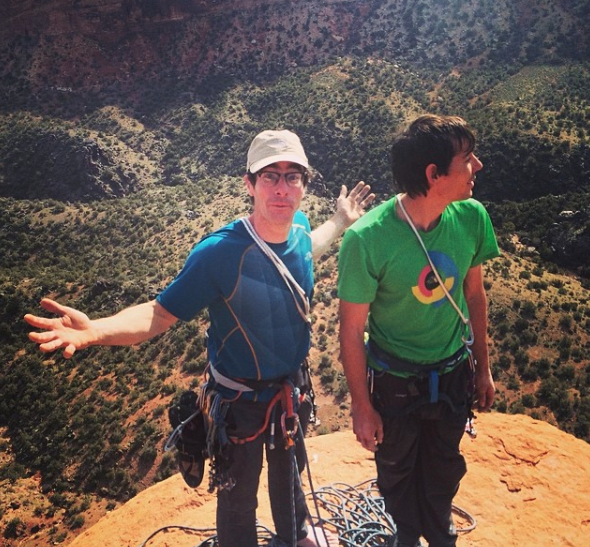 Wright's big break came after filming an adventure with his good friend, Alex Honnold. Wright and Honnold's unique, human-powered adventure of climbing all of California's 14,000-foot peaks involved biking more than 700 miles, hiking at least 100 miles, and climbing over 100,000 vertical feet, often while free soloing (climbing without any rope or protection). Along the way, Wright brought his Sony RX100 to document the trip. Wright enjoys the RX100 because of its ability to not be noticed due to its small size, which in turn doesn't intimidate the subject as a larger DSLR might. While reviewing the footage after completing the adventure, Wright realized he had something special. “The edit led me to create the first ‘Sufferfest’ film,” said Wright. “The film toured with adventure/outdoor movie festivals like the Banff Mountain Film Fest and the Mountainfilm festival.” The success of the first Sufferfest film launched another, which gained more traction and led Wright to explore the ins and outs of starring, directing, and producing a movie. “Sufferfest 2,” which won awards for best climbing film, again featured Honnold and Wright on a ridiculous adventure, this time climbing 45 desert towers, linking them all by bike. “Sufferfest 2” won multiple awards. Although you may have big dreams of far-away places, Wright says it's important to start photographing and recording what you have access to in daily life. Some of Wright's favorite personal projects — the two recent films “Stumped” and “Safety Third” — were both created basically in his backyard. 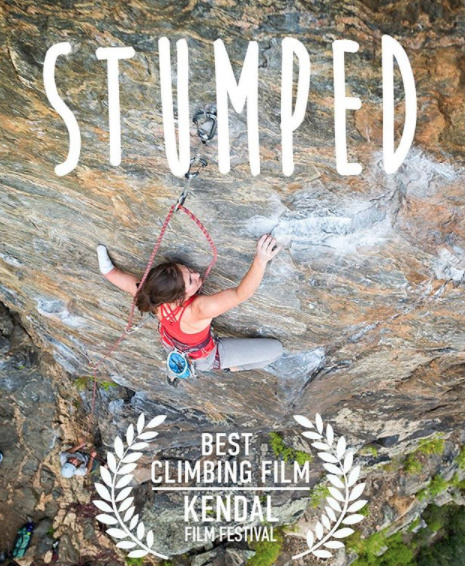 Both films were featured in this year's traveling Reel Rock Film Tour, one of, if not the, largest outlet for climbing films in the world. This only proves that you don't have to travel far to find compelling content. You simply need to tap into your creativity. Free-soloing — climbing without a rope, harness, or any protection besides climbing shoes and a chalk bag — is a topic not foreign to Wright. 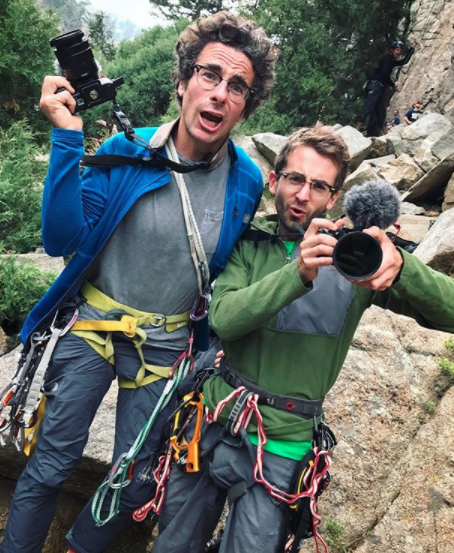 Being an extremely accomplished free-soloer himself, Wright also films fellow climbers performing probably one of the most dangerous pursuits anyone can do. 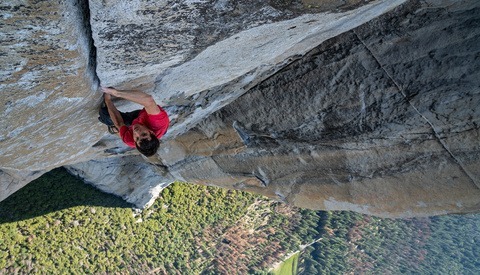 In most films of free-soloers, like in “El Sendero Luminoso,” much of the recording is done in recreations only after the actual climb was completed. But in recording rope-less climbers, Wright wants to further explore the idea of documenting actual events in real time, a factor that usually adds unwanted stress to a free-soloer. 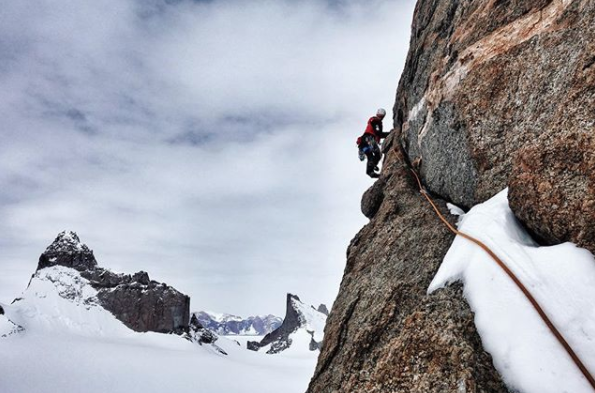 The key to making this happen, Wright said, is to have full trust in the climber-videographer/photographer relationship, and making sure each person is fully comfortable with the other and the position they put themselves in. The crux of “Safety Third” (spoiler alert) happens when climber Brad Gobright falls and rips protection out from the wall, breaking his back. For Wright, showing this scene was necessary for the film. 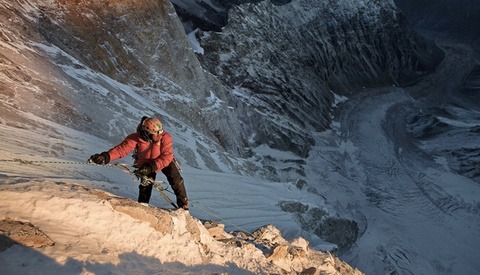 Although it's a brutal and queasy moment to include, it only adds to the story and help shows the risk climbers take. This moment, combined with other sketchy but candid moments Wright has filmed, only proves his philosophy and advice to other photographers and filmmakers: you need to take out the camera exactly when you don't want to. “When it’s uncomfortable, scary, or you're worried about weather harming your camera, that’s when something real is happening and drama is unfolding,” said Wright. If you run into Wright, you'll probably also be on a crazy adventure of your own. After the Antarctica expedition, he traveled to Kenya for a personal paragliding expedition. He wanted to accomplish his goal of paragliding a 100-mile flight. And that he achieved. He also documented the entire trip, so another adventure film is definitely in the works (you can watch one of Wright's previous paragliding movies below). In the future, Wright also hopes to tackle social issues through his art, which will include a film about a transgender climber. In the end the biggest takeaways from Wright's success in the creative field is to surround yourself with motivated people, find humor in the mundane or painful, find your passion and constantly work to improve it, and post lots of videos of your dogs on your Instagram story. Lots. To view more and to stay up to date on Wright's work, check out his website, Vimeo, Instagram, and Facebook. All photographs used with permission of Cedar Wright. 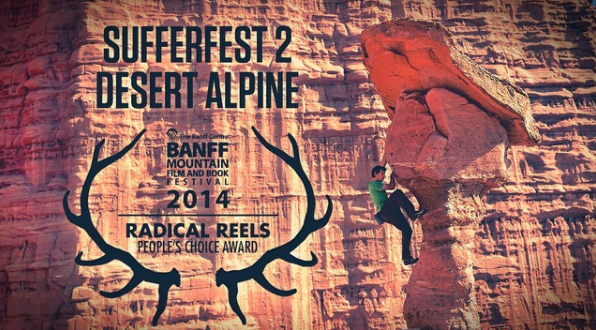 *Correction: changed Telluride Film Fest to Mountainfilm Fest regarding the first Sufferfest. Cedar Wright is 10/10 one of the people I most admire in this world!